Meet our Bitsy Bride, Paola. 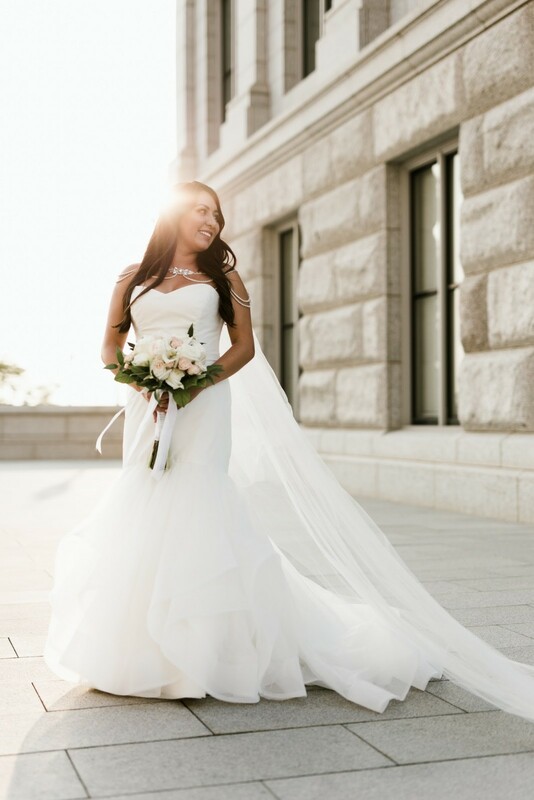 Our gorgeous bride looked stunning in her Blush by Hayley Paige River gown! 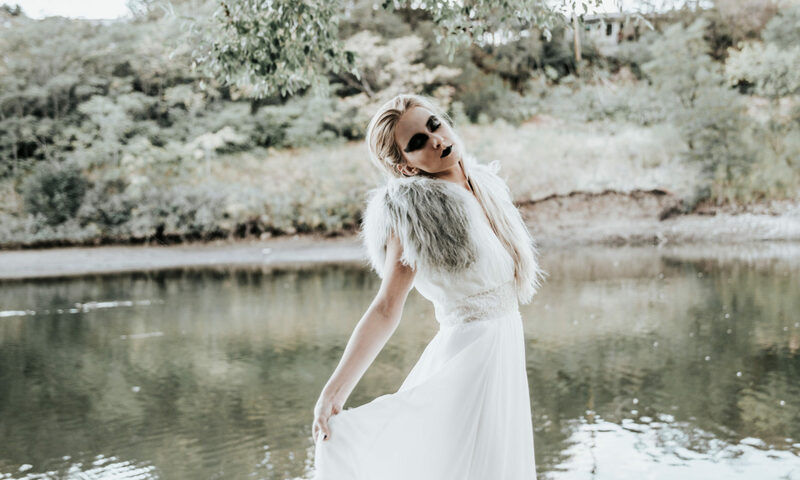 Blush by Hayley Paige reflects the whimsical look that we know and love from Hayley Paige, but at a price that your wedding budget will thank you for. Created with silk dupioni, this fit to flare gown is one of the more classic looks in the Blush collection. Silk Dupioni is a type of heavy silk fabric that gives the gown a structure, similar to taffeta. Following the elongated bodice, the tiered tulle skirt is edged with a horsehair trim and keeps the structured look from top to bottom. 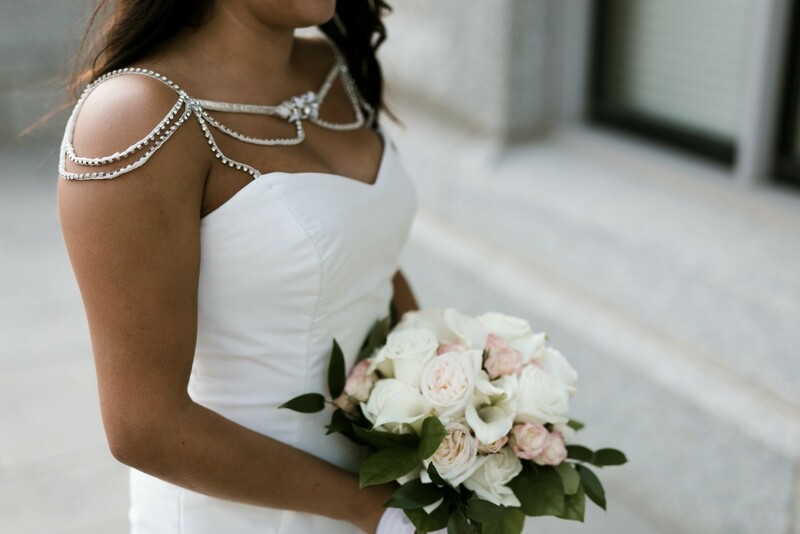 Paola decided to wear the detachable beaded bolero on her special day. This crystal accessory gives a pop of sparkle to an otherwise elegantly clean gown. 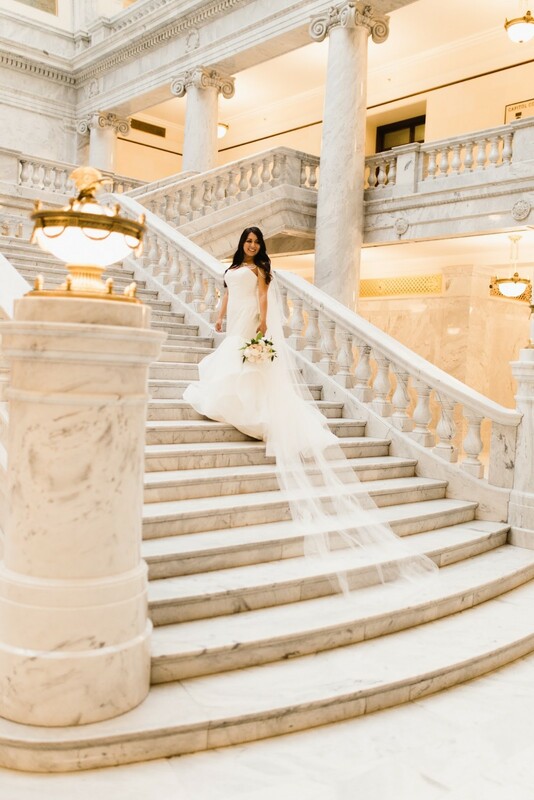 Take a look at how beautiful Paola and this gown are at the Utah State Capitol. Photos taken by Austin Berenyi. Schedule an appointment to see our Blush by Hayley Paige collection in person!